Limited Time Offer - Book Your Procedure By April 30th and Take Advantage of 40% Off. Permanent, natural hair, no linear scar, no stitches, fast recovery, Artificial Intelligence, 100% robotic FUE hair restoration. The World's Only Robotic Hair Restoration uses your natural hair. Permanent results. Clinically proven effective hair transplantation. There’s no other technology like it. Experience clinically proven results from the first iX robot in New England, the most advanced technology in the industry. Unlike traditional methods, this robotic procedure uses your natural hair for permanent hair transplant results in just one session. The innovative Robotic Hair Restoration Procedure eliminates the need for long incisions or stitches, making your hair transplantation treatment virtually undetectable. It is the most advanced, non-invasive procedure, leaving no traces or linear scarring. Recovery time is almost immediate. 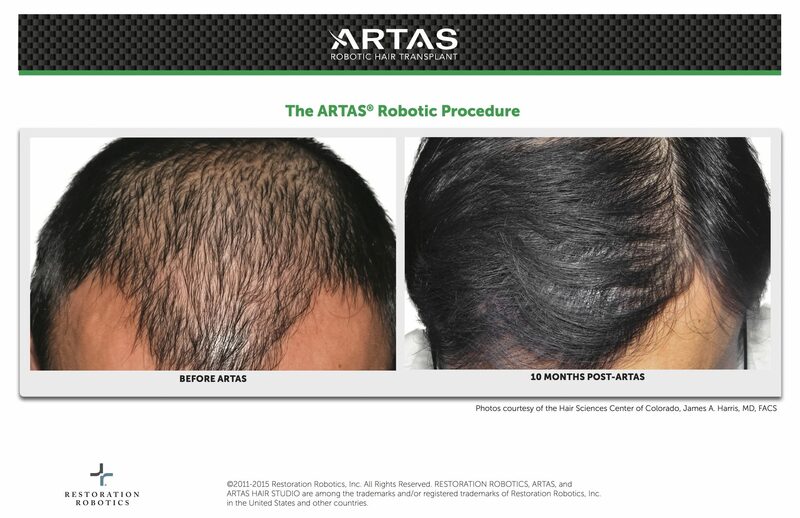 The ARTAS® Robotic Procedure is minimally invasive, fast and effective. The most innovative procedure uses robotic technology with human direction. This gives you the cleanest, most precise and effective results by eliminating human error and fatigue. 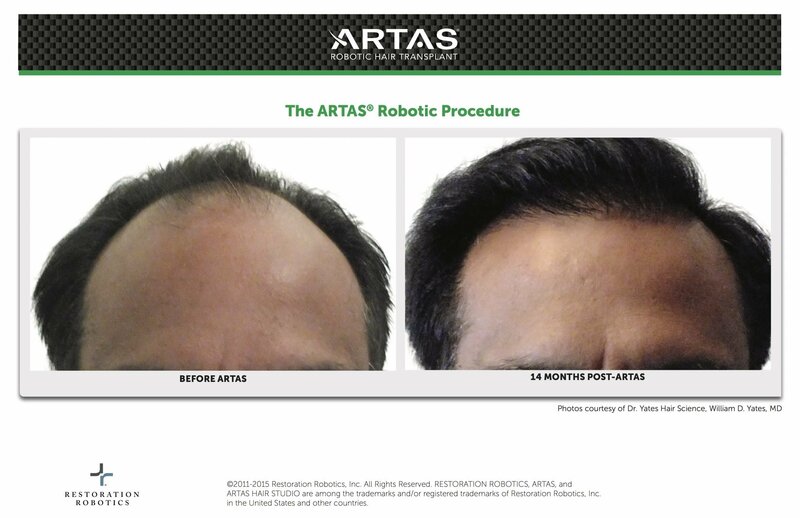 Feel years younger with ARTAS® Robotic Hair Transplant. This FDA-cleared, physician-assisted technology provides permanent, natural-looking results without the plugs, pain, and stitches associated with traditional hair transplants like strip surgery. This minimally invasive procedure does not leave a linear scar, so you have the freedom to cut and style your hair the way you like without having to hide a scar. Welcome to the newest, most innovative technology in hair restoration. 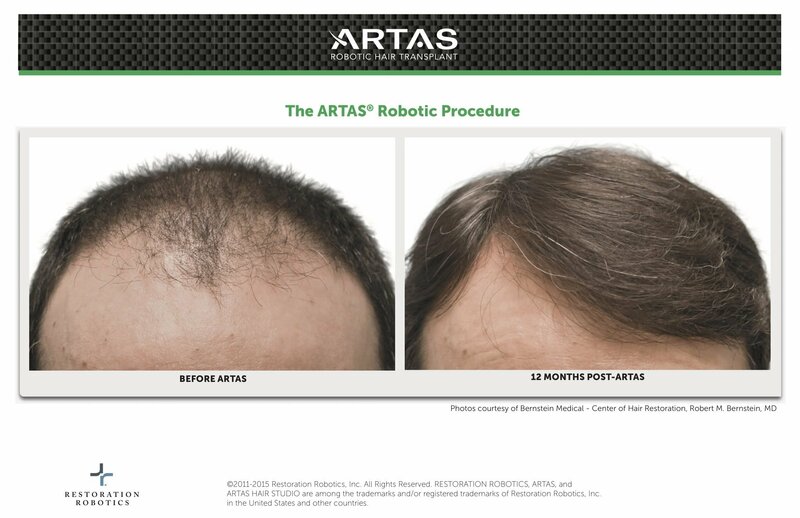 ARTAS® Robotic Hair Transplant is an FDA-cleared, physician-assisted technology providing the fastest and most advanced results. No pain, plugs, long-recovery, or obvious scars and stitches. In just a few hours you’ll begin to feel years younger with the natural look and feel of a full head of hair, with the ability to cut and style it the way you’d like. A short recovery time means your able to get back to things you love, free of pain or worry. See what you can look like with more hair. Schedule your consultation today!